Last month, Saudi Arabia imposed a sea, land, and air blockade on Yemen, taking a country which was already in a major humanitarian crisis into an enormous humanitarian disaster. The major effect of the blockade has been to prevent humanitarian aid, including food, medicines, and fuel into the country. Of the 25 million population, 20 million rely on humanitarian assistance, and 7-8 million are now facing full-scale famine and starvation as a result of the blockade on humanitarian aid. Furthermore, without fuel, the water pumps in many cities can no longer operate, forcing people to drink filthy water, adding to Yemen’s huge cholera epidemic, hitting close to one million people. Since 2015, the tribal civil war in Yemen has been largely a proxy war between Saudi Arabia and Iran, especially the Iran-backed Houthi rebels. The war dangerously escalated a month ago when the Houthis launched a ballistic missile, undoubtedly supplied by Iran, that reached the King Khalid International Airport near Riyadh, about 800 km from the Yemen border. The Saudis reacted with the blockade, giving as a reason the need to prevent the Houthis from importing more Iranian weapons systems. If being a weapon of war was part of the Saudi plan, then it appears to have been successful. There is been a major split among the militias in the Houthi coalition. 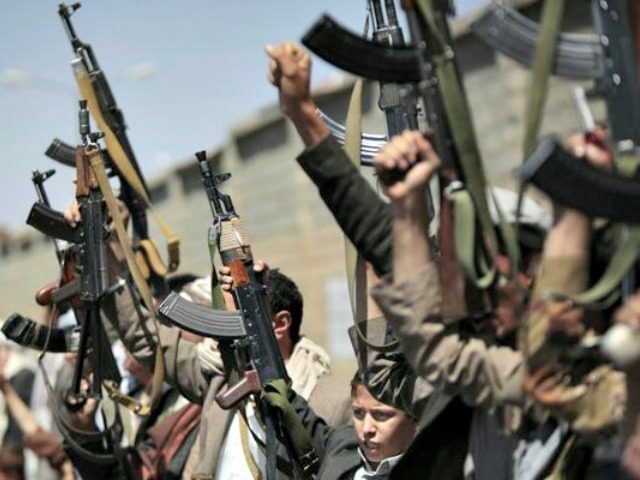 There have been four days of increasingly violent clashes between the two major militias, one led by Houthi leader Abdel-Malek al-Houthi, and the other led by former Yemen president Ali Abdullah Saleh, who is leading some local militias who had previously been allied with al-Houthi. I call on our brothers in neighboring countries … to stop their aggression and lift the blockade. They need to lift the blockade and open the airports, and allow food and medicine to enter the country. We will open a new page with them for dialog. What is happening in Yemen is enough. South Yemen and North Yemen were two separate countries until they unified in 1990 under the leadership of Ali Abdullah Saleh. Saleh ruled until 2011 when he was ousted as an outcome of the “Arab Spring” that affected countries throughout the region. Saleh was forced to turn the office of president over to his vice president, Abdu Rabu Mansour Hadi. In effect, Saleh refused to give up power, and he formed an “alliance of convenience” with the Houthis. Saleh and the Houthis have never really gotten along. During the two decades that Saleh was president, he fought six different wars against the Houthis. on September 21, 2014, Saleh and the Houthis captured Sanaa from Hadi’s forces. Hadi was forced to flee Sanaa and has been living in exile in Saudi Arabia for two years. From the point of view of the international community, Hadi is still president of Yemen. On Saturday, Saleh’s foreign minister was interviewed on the BBC, and he said that the alliance with the Houthis had to end because Houthis were forming a “state within a state,” similar to the Islamic Revolutionary Guard Corps (IRGC) as a military state within a state within Iran. In 2005, Saleh and the Houthis had created an alliance with the nominal objective of forming a unity government that both groups could lead equally. But in the last year, the Houthis have been gaining power in Sanaa, and Saleh has been losing power. Furthermore, there has been rising popular discontent with the Houthis, and that discontent has increased in the last month with the Saudi blockade. Some reports indicate that Saleh has been talking to the Saudis through back channels for a while, so it is even possible that this whole scenario, starting with the blockade, was planned in advance, and triggered by the Houthis’ launch of the ballistic missile at Riyadh. Since Saleh’s call for a ceasefire, the Saudi airstrikes on Sanaa have almost stopped. According to reports, Saleh has promised the Saudis that if they agree to the ceasefire and to lift the blockade, then he will undertake to defeat the Houthis in Sanaa, and drive them back into their northeast stronghold, as he had to do several times when he was president. After that, Saleh says that he and the Saudis can talk, and bring Yemen back to be “normal” again, with him in some sort of leadership position.